Class-leading Autoscript design and the flexibility of IP The new EVO-IPS is a cost effective IP-only solution for progressive modern studios. The standard bright prompt monitor uses the super slim chassis of the more highly featured EVO-IP, with a depth of just 42mm. As the world’s first IP only prompt monitor, the EVO-IPS offers a very simple and flexible workflow. It connects directly to WinPlus-IP or WinPlus-IPS software application via an IP network; displaying smooth scroll prompter video without the need for an additional scroll engine. One single Ethernet input is all that’s required! 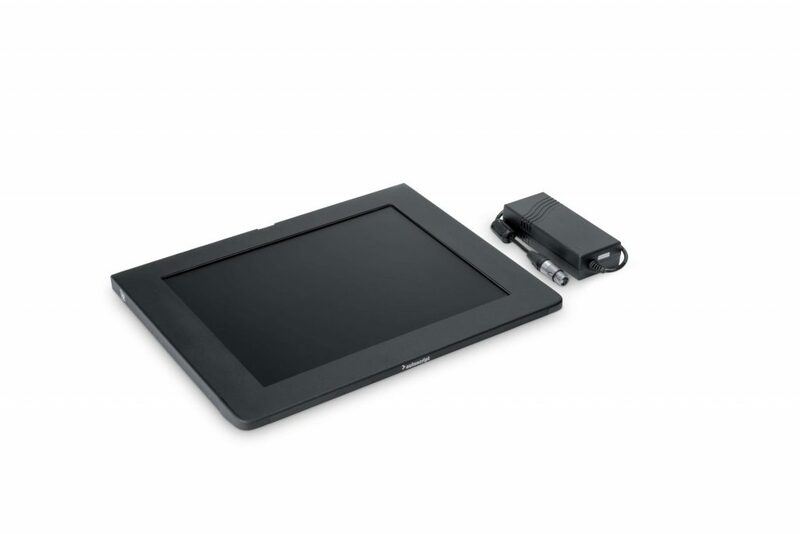 The monitor is configured in WinPlus-IP(S), where users can control brightness, contrast, sharpness, image flip and the on-screen clock. Designed for ENG camera/lens setups, the EVO-IPS on-camera system comes with Autoscript’s new Intelligent Prompting mounting and carbon fibre hood. The complete monitor, hood and mounting assembly has been carefully calculated to minimise the number of parts, vastly improve setup time and reduce the lens opening at the back of the hood. 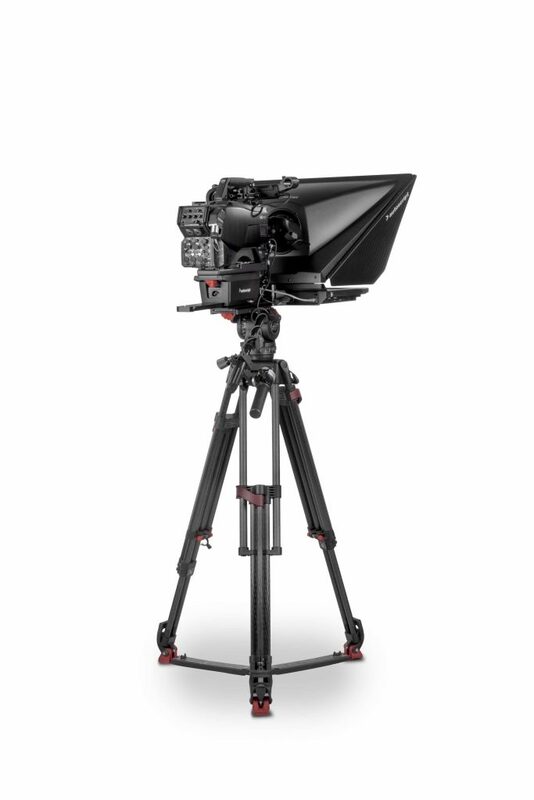 For other camera setups EVO-IPS on-camera systems can be created with large or small folding hood. 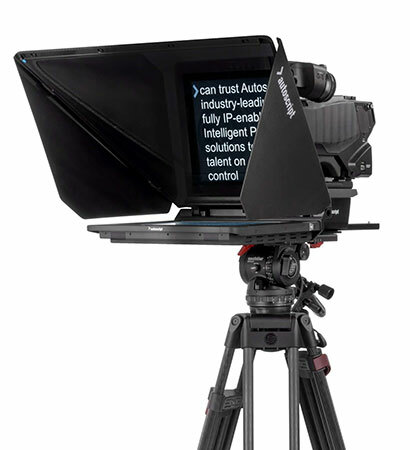 All on-camera systems are designed to remove the need for counterbalance and so make the teleprompter significantly lighter.